A color photograph of the Weeks Bridge. There are two men sitting on the edge of the bridge letting their legs dangle over the water. We are pleased to announce that the John and Ellen Moot Papers, 1903 – 1982 are now available for research. Select digital items are also available. John and Ellen Moot were political activists in Cambridge. John (1922 – 2008), the son of Welles V. and Caroline E., was born in Buffalo, New York and moved to Cambridge to attend Harvard University, where he graduated in 1943 with a degree in engineering. During World War II, John served in the U.S. Navy, loading ships in England for the Normandy invasion. John returned to Harvard and earned an MBA in 1948 and launched the Cornwell Corporation, a kitchen supply company, in the 1950s. He later became a management consultant for failing companies. For over fifty years, Moot was active in Cambridge politics. In 1963, he launched a campaign to “Save Memorial Drive” from the proposed Inner Belt, the eight lane highway planned to go through Cambridge. He was also a founding member of People for the Riverbend Park Trust, PRPT, located at 99 Memorial Drive in Cambridge. In addition to serving as President of the Cambridge Civic Association, Moot held leadership positions in several other Cambridge civic organizations, including the Cambridge Economic Opportunity Committee, the Charles River Watershed Association, the Harvard Square Defense Fund, and the Republican City Committee. In the 1980s, he was a mayoral appointee on the Water and Sewer Advisory Committee and the Technical Working Committee for the Computerization of the Cambridge Elections (TWCC). He served on city-wide study committees for Proposition 2/12, the water system, and municipal finance. In 1998, he co-founded the Association of Cambridge Neighborhoods with Stash Horowitz. John was the lead plaintiff in a suit brought against the State Department of Environmental Protection and the Guilford Transportation Company to block Cambridge’s NorthPoint development. In 2007, the Massachusetts Supreme Court ruled in Moot’s favor. Ellen (Guild) (1930-2016) grew up in Boston, Mass. and graduated from the Shady Hill School (Cambridge, Mass., 1945), St. Timothy’s School (Stevenson, MD., 1948), and Radcliffe College with a degree in Government (1952). After receiving a Master’s degree in International Affairs at Yale University, Ellen worked at the Washington Center of Foreign Policy Research at John Hopkins University. She became engaged to John Moot while living in Washington, D.C., and the couple moved to Cambridge after they were married. In Cambridge, Ellen was as a research assistant at the Harvard Center for International Affairs (CFIA), where she worked with Henry Kissinger, Robert Bowie, and Joseph Nye. She served on the Boston World Affairs Council and the United Nations Association. After her daughter was born in 1962, Ellen returned to the CFIA part-time and began working on political campaigns in Cambridge. She ran the successful City Council and State Senate campaigns of Alice Wolf as well as the successful City Council campaigns of Cornelia Wheeler. (Wheeler lost her bid for State Senate in which Ellen was the campaign manager.) She also worked on the School Committee and City Council campaigns of Frank Duehay. During this time, she partnered with Artistic Director and Conductor Benjamin Zander to found (and later become the Executive Director of) the Shady Hill Summer Arts Program. In the 1970s, Ellen’s career turned toward the field of mental health and she served on the board of the Cambridge Guidance Center, the Metropolitan State Hospital’s Advisory Board, the Massachusetts Department of Mental Health’s Area Board, and as the President of the Massachusetts Department of Mental Health’s Mental Health Center for Cambridge-Somerville. From 1983-2001, Ellen served on the board of the Cambridge Foundation. 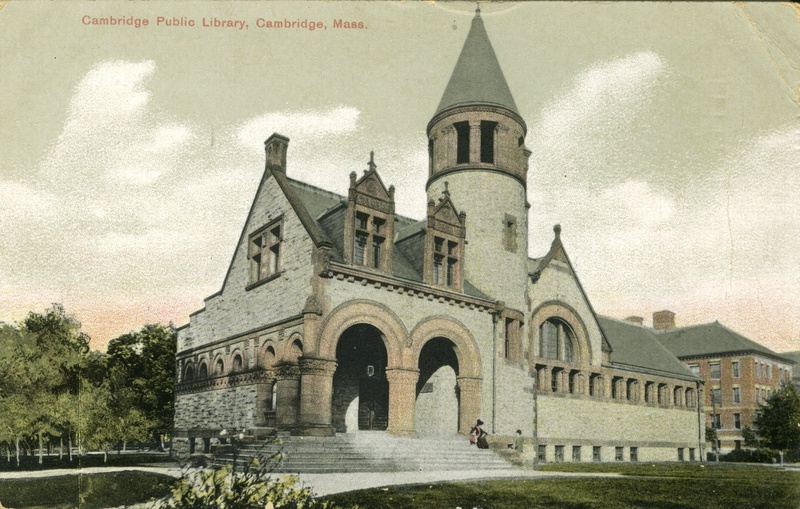 She was active in the Cambridge Historical Society, co-writing a chapter on the Coolidge Hill neighborhood, where she lived, for the book, A City’s Life and Times: Cambridge in the Twentieth Century (2007). Also, she played on Cambridge’s first women’s ice hockey team, founded in the 1970s and nicknamed the Mother Puckers. Outside Cambridge, Ellen was active in the Chocorua Lake Association in Tamworth, New Hampshire. Ellen was an avid sailor. Ellen and John married in New Years of 1960 at the Unitarian Church in Boston. They were members of the First Parish Unitarian Church and patrons of local theater and opera. They have two children Amey (b. 1962) and Alex Moot (b. 1964). Anderson, Travis, “Moot Dies at 86, Successfully Fought Highway Through Cambridge,” Cambridge Chronicle, December 19, 2008. http://www.wickedlocal.com/cambridge/news/x1435867302/Moot-dies-at-86-successfully-fought-highway-through-Cambridge?zc_p=0. Retrieved 30 December 2013. Ellen Guild Moot, 1930-2016, Boston Globe, September 25, 2016. http://www.legacy.com/obituaries/bostonglobe/obituary.aspx?pid=181469944. Retrieved 20 March 2017. This collection contains materials related to Ellen and John Moot’s work on preserving recreation areas around Memorial Drive in Cambridge, including People for the Riverbend Park Trust. There are several oversize materials, some of which like the Cambridge Civic Association Billboards are fragile. Jacek von Henneberg, author of the Memorial Drive Drawings, is a Polish artist and architect, who lived in Cambridge. 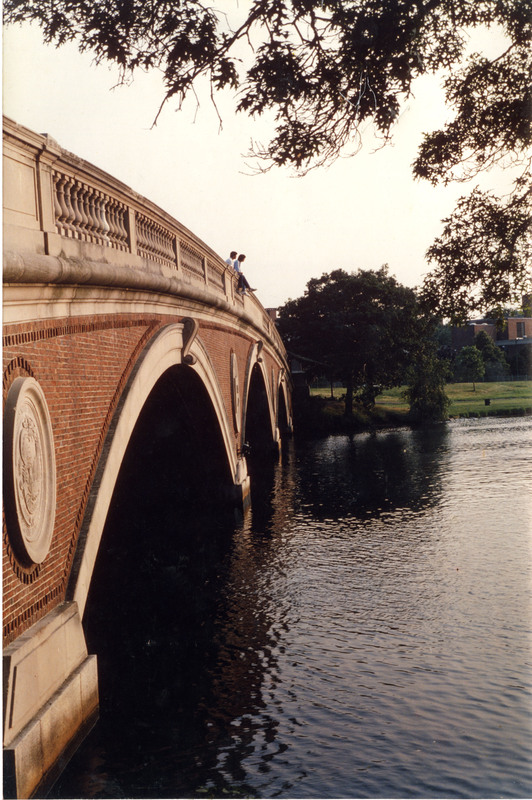 The proposed underpass on Memorial Drive by Harvard Square was never created. The Save Memorial Drive poster has a reproduction of Georges Seurat’s A Sunday Afternoon on the Island of Grande Jatte.